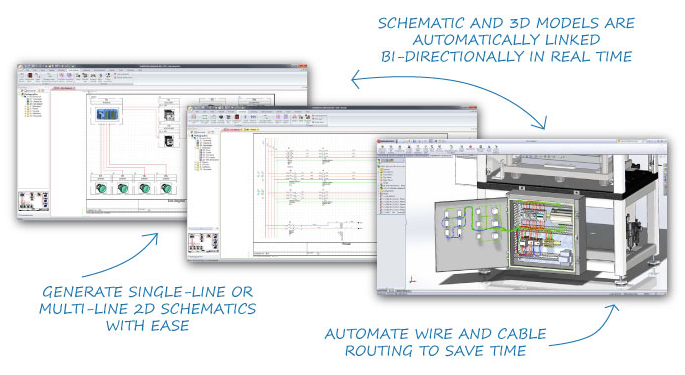 Watch, Discover and Learn about SOLIDWORKS Electrical solutions. Explore our featured SOLIDWORKS Electrical resources to learn how to simplify your electrical design process. 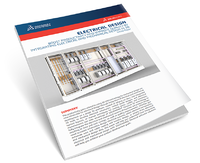 Learn how customers are streamlining collaboration on electro-mechanical designs with SOLIDWORKS Electrical. Learn how to boost productivity and improve quality by integrating electrical and mechanical design in 3D. Create custom output reports using integrated reporting tools. Download this 21-page sample electrical report. In these SOLIDWORKS Electrical videos, see how you can easily reduce your documentation and auditing within the schematic design process. Explore the resources below on SOLIDWORKS electrical design solutions: PCB, Electrical Professional, Electrical Schematic Professional & Standard and Electrical 3D. Have a question or interested in getting a quote for SOLIDWORKS Electrical? Fill out the form below and a specialist will be in touch.